We offer accredited investors superior returns through exposure to the Northwest’s thriving real estate market. Why Invest in Cetan Income Fund? The fund target is 8 – 10% return, appealing to investors seeking higher yields than available in today’s low-interest-rate market. Quarterly distributions start at the outset and may be reinvested or withdrawn. A seasoned management team, thorough due-diligence on borrowers and underlying assets, a blended loan portfolio strategy that focuses on small loan size and short loan terms position the fund for superior downside protection. Cetan Funds loans are secured by a deed of trust on the borrower’s real estate, most often in the first position. Cetan Management has over 50 years of combined Oregon real-estate lending and development experience and sterling reputations. This grants management privileged access to deal flow with local agents & brokers and the regional know-how to access them. Our investment strategy benefits from strong regional fundamentals, driven by limited housing stock, strong in-migration, and strong local economic growth rates. Cetan Income Fund has shown superior returns from its inception. Launched in March 2017, the annualized quarterly investor return has consistently hit our target of 8-10%. 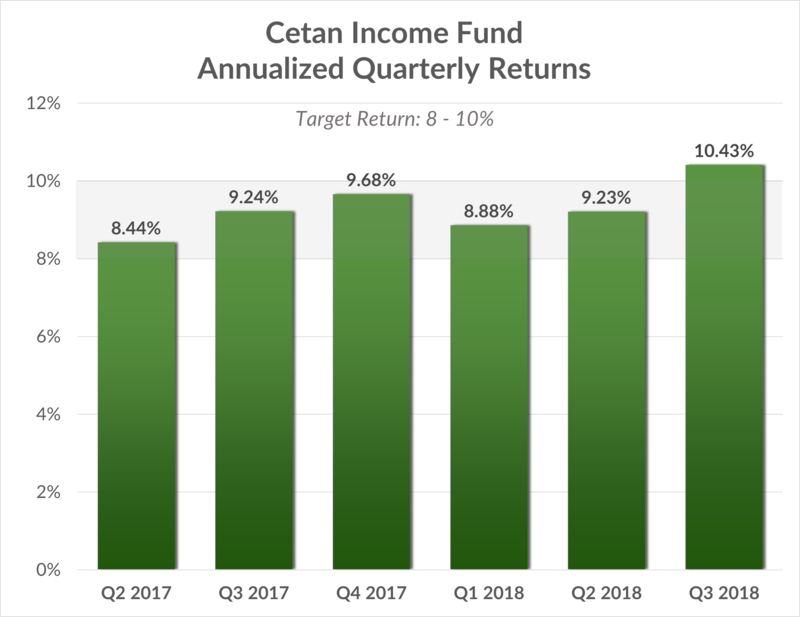 For more information, please visit cetanfunds.com/cetan-income-fund or contact us.